Something we hear quite frequently from Truckee and Lake Tahoe drivers is that their fuel economy is down and their four-wheel drive just doesn’t have the pep it used to. When that happens, one of the things we look for is clogged fuel injectors. The engine management computer tells your fuel injectors exactly when to squirt fuel into your engine. 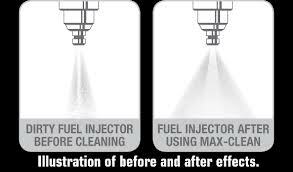 It is key that clean fuel injectors spray the right amount of gasoline or diesel fuel in a nice, specific spray pattern. A dirty injector can’t spray enough fuel and it comes out in an uneven, weak pattern. When fuel injectors are dirty or clogged, the fuel burns less efficiently, which causes gas mileage to drop. This result in less power from your Subaru or Toyota. It’s normal for fuel injectors to get dirty over time and possibly more likely on the dirty, dusty roads we drive everyday. Gas and diesel fuel may cause varnish and gum to build up in your fuel injectors, especially if you buy bargain gas in Reno. If your fuel injectors get too dirty, they can become damaged and need replacement – which can be pretty costly. The good news is that a professional fuel injector cleaning at Quality Automotive and Smog in Truckee can clean that gunk from your injectors. When they spray the right amount of fuel, at exactly the right time, and in the right spray pattern, your gas mileage is restored and climbing up Donner Summit from Truckee becomes smooth sailing. Fuel injectors are cleaned as part of a comprehensive fuel system cleaning that includes the induction system (throttle plates, intake manifold, idle air by-pass passages and, if applicable, the mass airflow sensor). So ask your knowledgeable service specialist about fuel injector cleaning in Truckee at Quality Automotive and Smog to get your engine running like new. Give us a call - Quality Automotive and Smog at 530-559-9789. Look for our red check in the Crossroads/Savemart Center off Highway 89 in Truckee.